The first two weeks of March certainly sped past and were super exciting for all those who attended the Bridging the Past genealogy conference in Sydney. Ongoing family and health issues saw multiple trips to Brisbane and were the main reason this is two weeks and not my usual weekly update. Congress was fabulous and as usual I will be sharing my experiences with those who could not attend in person. Day One is already written and Days 2-4 with a final post on Exhibitors and other bits and pieces are still to be completed. As I write the posts I am compiling a to do list to follow up on various links and searches. Congress 2018 will be in my life for a few more weeks yet. 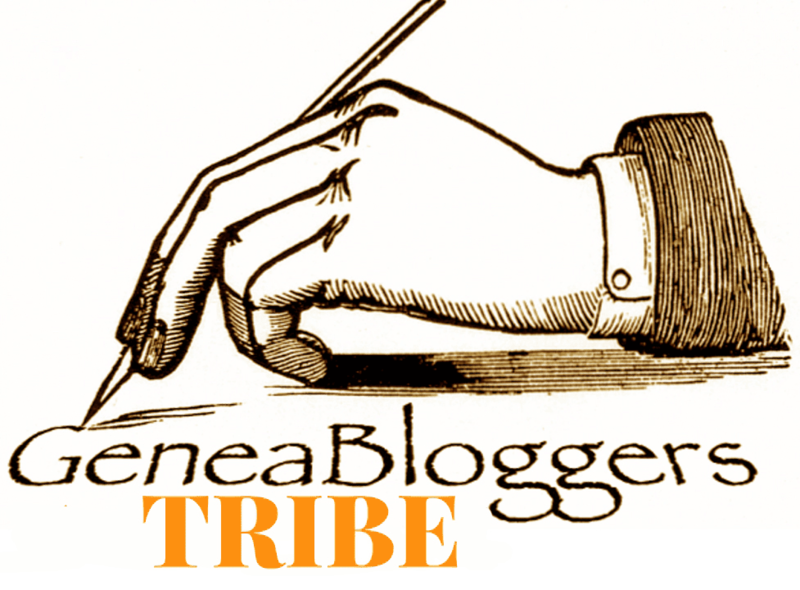 Some of the other bloggers have also written or are in the process of writing up blog posts for Congress. Some of the links are being posted in the Facebook page Geniemates for Congress but this is a closed group. Some kind soul may also be compiling a list of bloggers doing reports so stay tuned. 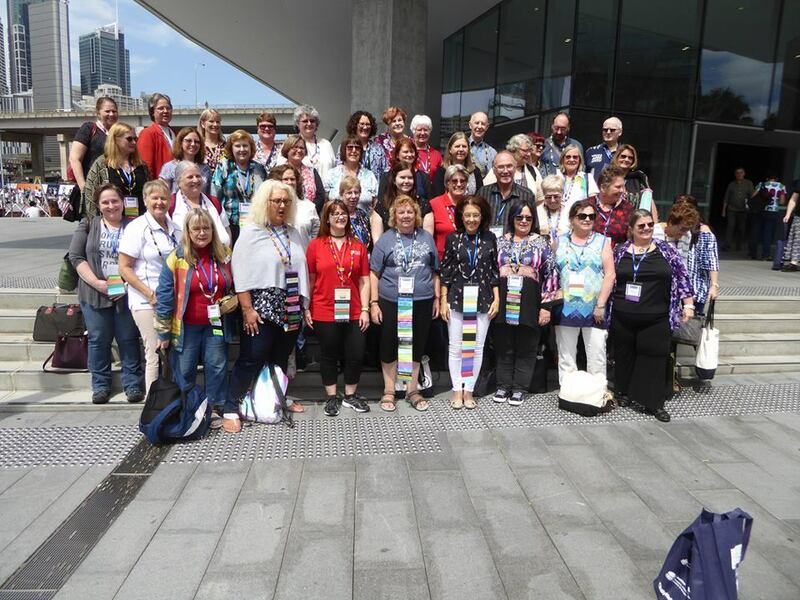 Lilian Magill has been quick to do a number of Congress posts and has also shared her photo of some of the bloggers who attended. 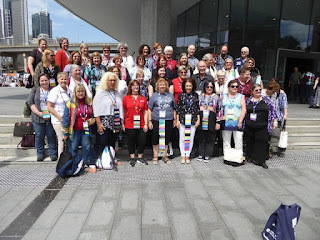 Sadly I missed the photo opportunity as well as the one for Queensland attendees, but I did manage to make the photo opportunity for the students of the National Institute for Genealogical Studies. So much was going on, it was hard to be everywhere at once! My blog post on one of my favourite Western Australian websites, Outback History, was featured on the In-Depth Genealogist on 8 March. There are so many great Australian websites I don't think I will ever run out of topics. Although I say no more books, who can resist buying them when there is so much opportunity at an event like Congress. The after dinner speaker at the Congress dinner (more in the daily post to come) was a very passionate speaker and so now I have an author signed copy of Mark Tedeschi QC's book Murder at Myall Creek: the trial that defined a nation. 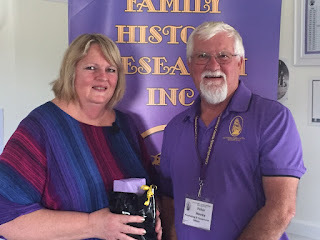 Another speaker who motivated me was Lisa Louise Cooke from Genealogy Gems and I purchased the 2nd edition of her The Genealogist's Google Tool Box together with a DVD package on using Google Earth. While I use Google Maps all the time I seem to struggle with Google Earth so time to learn a new resource. The Congress Handouts are in PDF format and I have now downloaded them - all 309 pages! No wonder they didn't go for a printed version. I've even refrained from hitting the print button. This might be the time to seriously try reading (and enjoying) a publication on my laptop. Nathan Dylan Goodwin has asked me to do a review of his latest book The Wicked Trade so that is winging its way to me. Always a good read and I'm looking forward to curling up on the lounge for some uninterrupted reading time. As usual everyone is sad that Congress is over for another three years, but it is even sadder this time as the next Congress has not been announced as no society or group of societies have said they will take on the enormous task of running an event like this. However we do have some state conferences which might be of interest. This year the NSW & ACT conference is in Bateman's Bay on 14-16 September 2018 with the theme Sailing into History. I usually try to go to these if possible but not this year as I am already booked on the Unlock the Past Alaska cruise. Another one for early next year is the History Queensland and Caloundra Family History Research conference on 24-26 May 2019 with the theme Waves in Time. That will be a definite attend as it is only about an hour up the road from me. Most of the new resources I've come across will be in the daily blog posts from Congress so keep an eye out for those and there will be a round up in the next Diary. My next talk will be on Sporting Ancestors: everyone has them and it will be with Caloundra Family History Research on 19 April. They are a super friendly group and always have a great afternoon tea and chat. Plus it is a great excuse to get another purple top to fit with the Group's image! There are only another two weeks of First Term at Bribie U3A remaining - all of the present attendees have signed on again and we will have additional students for second term as advanced family history seems to be a popular topic. No surprises there. But it does keep me busy preparing sessions based on the individual needs of the class. There are research projects, articles and blog posts to write not to mention all the things I want to follow up on my own family history research. Busy times but fun times. Until next Diary have fun searching and remember to try out some of those URLs mentioned in my Congress posts. Good luck. I plan on compiling a list of posts - just need to rise from the sick bed!!! That's great news Jill. Hope you are feeling better soon. Great post. Enjoy Nathan's book it is fantastic! Thanks Lilian. I have enjoyed all Nathan's books so far.